Cyprus real estate company sponsors a team in the Dakar rally raid -2017! ReLux Estates is proudly announcing that it has become an official partner of Autolife: Starikovich-Heskes Team, the first ever team from Cyprus to partake in the world famous The Dakar Rally. Mr. Roman Starikovich, CEO of Orpheus Group will lead the Autolife Team through the deserts, salt lakes, jungles and mountainous terrains of Paraguay, Bolivia and Argentina in next month. Dakar Rally has been held annually since 1979. The Dakar is being followed in more than 180 countries across the globe and its television audiences compare to those of FIFA World Cup games or of The Olympics. The popularity of the Dakar is attributed to the its challenging as the pilots are expected to endure harsh conditions and to be able to cope with numberless difficulties that await them en route to finish. As a matter of fact, every year between 40 to 60 % of the teams don’t even make it to the finish line. 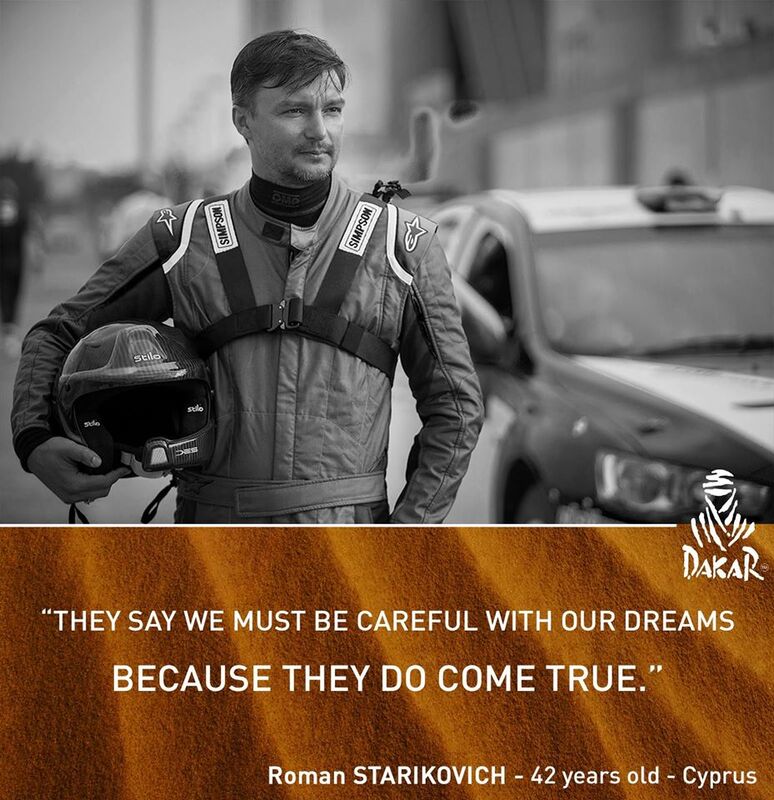 Cyprus team of Dakar will be presented by CEO of Orpheus Group, Roman Starikovich – flagged pilot and co-pilot Mr. Bert Heskes, multiple Dakar partaker and technical support will be provided by Autolife team. ReLux Estates, as the Golden sponsor of Autolife Team at The Dakar Rally 2017 wishes Good Luck to the first Cyprus team in Dakar 2017.